Plain and simple, it's the wrong type of foam for the intended purpose. I think that you are correct. You need that flexible but firm kind of foam. 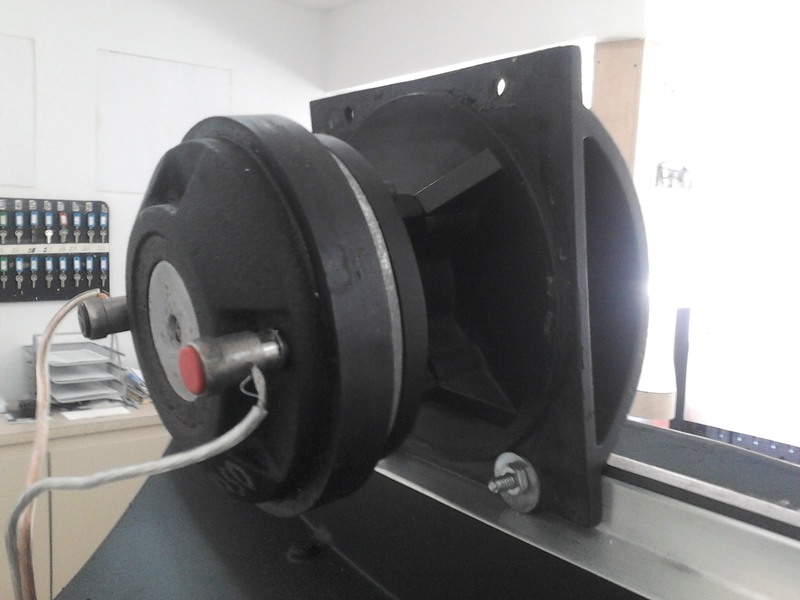 the styrofoam cannot absorb any ampact without fracturing into pieces, where the flexible foam will not, because it can flex to absorb the shock. The LSiM707's are 99-lb. speakers. You significantly jar one of these boxes, you have a 99-lb. speaker moving inside that box against small pieces of styrofoam. My 705’s I just got from Adorama we’re in their original Polk Audio box’s inside pretty beat up outer box’s . Luckily, the inner Polk boxes were just fine with no damage. However, I have a bad tweeter in one that Polk is sending me right away no questions asked. Known issue apparently. riverrat and SandAndGlass like this. Same thing happened to me. I assumed that the box got dropped during shipping and damaged the wiring somehow. But maybe the tweeter was bad from the get go. Who knows..
For those of you that are thinking, this guy must be a bit over the top about Polk's poor methods of packing, remember, we are dealing with freight carriers, UPS, FedEx, people that don't give a hoot if your package makes it to you in one piece or not. If this company had not double boxed these Polk speakers, they absolutely would have been damaged. Here are just three "small" examples of how their materials just DO NOT hold up in a shipment. You will NEVER find this with a Wilson or an Aerial product or a PS Audio or Parasound product, at least I have not. Years ago the LSi15s I received from Polk had similar packing issues, but no internal damage, thankfully. It's almost as if the styrofoam is designed to be sacrificed, like an airbag. I took that 2017 5 speaker deal. After selling the 703s and center, got the 705s for a few hundred dollars. 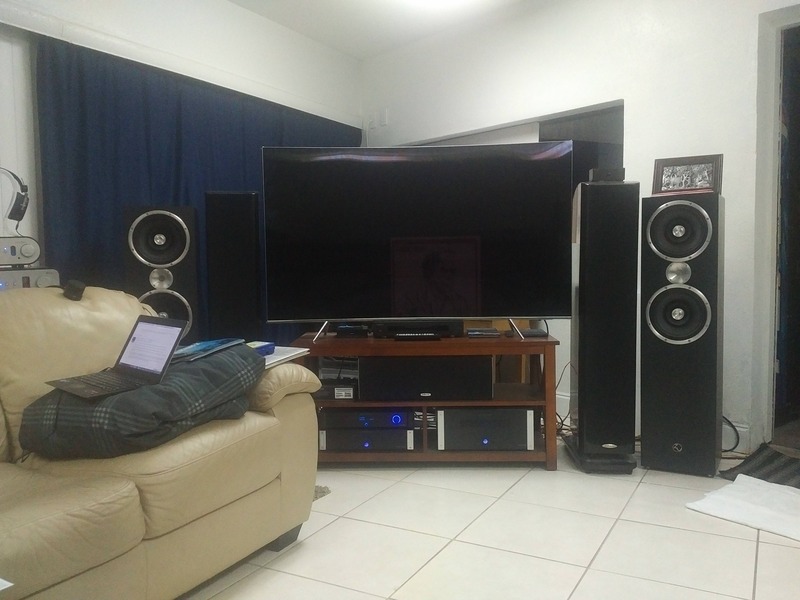 I think they sound great but am wondering if a bigger amp would make them better. 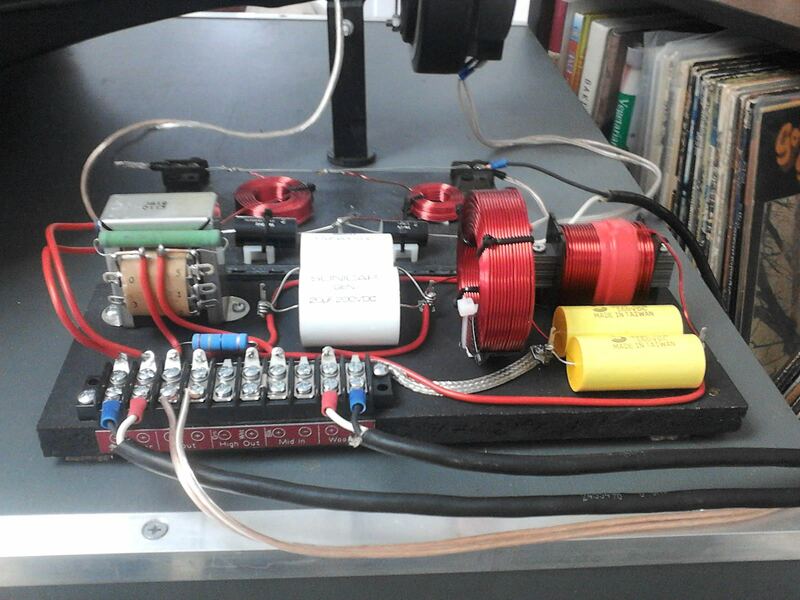 Running a Parasound A23 now (125 watts). Anyone running these with the A21? I just received my 707's and the power of the Parasound A-21 is plenty of power, I cannot imagine you need an A-21 for the 703's, however it would probably be a better fit but I'm not sure that much better, they should not require that much power. I bought the 703's as well. displayname and SandAndGlass like this. Ok, I have not even opened the 703's yet, as I have been concentrating on the 707, connections, some new wiring and positioning, and a whopping 1.5 hours of listening to several different CDs and SACDs. I'm not sure how important break in time is in the scheme of things but, I have tried my best to decide which speaker better suits me, the vintage Aerial 10T or the Polk LSi 707, and at this point I cannot make a choice. I do know the Polk seems to take a bit more power to light them up, but only marginally. I don't believe they are as power hungry as many have said, although I do have the Parasound JC-2 BP Pre and the A-21 amplifier which offers plenty of power for any music listening. It seems the Aerials have a brighter high end, and a pretty robust midrange, BUT, I also noticed all the drivers in the Polks just seem to integrate very well, nothing is missing there. I think some would love the slight brightness of the Aerials, and some would much prefer the blended smoothness of the Polks. So, at this early point in time, I just cannot decide if one is really better than the other, as Aerial products have always been my favorites, and certainly much more expensive than the Polks, however Polk entered into an entire different ballgame when introducing the LSiM series years ago. I remember hearing the Aerial 10Ts at the audio show at the Waldorf Astoria in New York City and with the exception of the Vandersteen Vs, which were my very favorite in the "kind of affordable" group of speakers, the Aerial's took second place, which is why I purchased them as soon as I returned to Nashville, they are magnificent speakers, and for the Polks to get close, is really something, but for them to demonstrate what some people would consider advantages over the Aerials right out of the box is pretty spectacular. So, enough about the sounds of either speaker, they are both top shelf, and you would not be disappointed with either one, BUT, make sure you are not driving the Polks with a small tube amplifier, or some smaller vintage receiver, I would think any nice solid state amp rated at 125 watts at 8 ohms would be very sufficient, say the Parasound HINT! Finally, if you are searching for a speaker system with style and panache, the Polk LSi705 or 707 just might be the ticket. Each speaker weighs just under 100 pounds, they are so extremely solid and a knuckle rap to the top or sides will not only get you a totally dead sound but a sore knuckle, they are solidly built. They feel like handling a solid piece of wood. The finish on mine were perfect, no imperfections, smooth to the touch, and just the right sheen to look totally top shelf. There are very subtle lines and shapes and the end product provides a tiny footprint, extreme high WAF, not to mention the metal grill that magnetically attaches, a real design plus in my book, it attaches like a second layer of skin. Everyone says they break in after 5--100 hours, my gosh, how much better could they be? Mine sounded great out of the box. One person mentioned poor soundstage at a low volumes, and I have not found that to be true at all. I believe this to be a well designed and executed speaker system, and a great addition to any home system with 125 or more watts to play with. Don't get me wrong, this is no power soaking Magnepan loudspeaker, but it's not Klipsch 99dB either, but most people like myself can live with that. 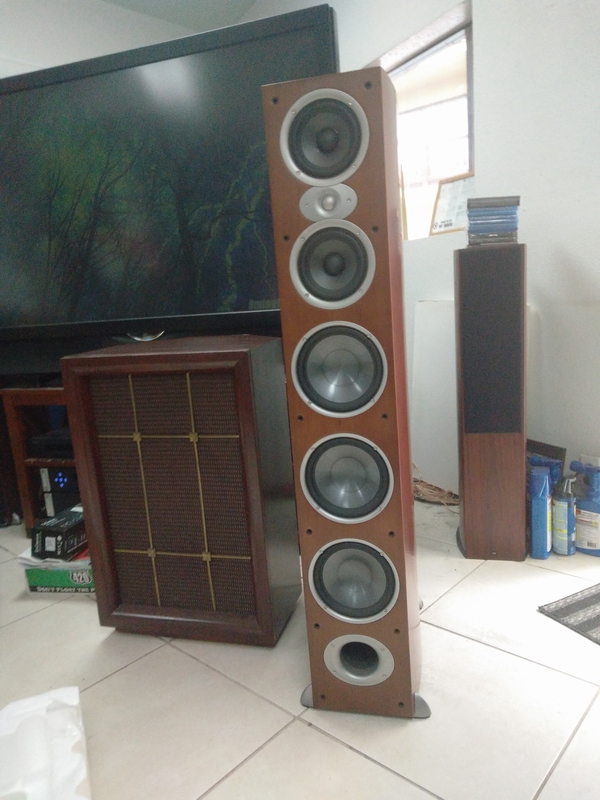 Here are a few pics that I hope capture the beauty of the LSiM design, IMO one of Polks finest design efforts, and a great addition to any listening environment. Dan C, Jimijam, F1nut and 7 others like this. SandAndGlass and Litejazz53 like this. riverrat, SandAndGlass and Litejazz53 like this. Looks like we have a two thumbs up on these! The cherry finish integrates nicely with the decor of your room. Don't underestimate what your 250-Watt high current A21 is bringing to the party. If I was to ever part with my 250-Watt Emotiva XPA-2, generation one, the only amp that I would have under consideration would be a Parasound A21. I specifically bought my XPA-2 so that I would have a power amplifier that was more capable of driving any speaker that I might ask of it. That way, if I am evaluating a speaker, then I know that it is not the amp that is holding back the speaker, in any way. Even the Hint, as good as that is, I would reserve for the 705's and 703's. That extra amount of power moves something from good to great! If you were planning on using the 707's in a smaller room, where the 705's would work, then maybe. The 707's were designed to be used in a larger room and having that 250-Watts not only gives you the power but gives you the authority. The ring tweeter may take some getting used to sonically. It will provide the HF detail but without the "brightness" that is often associated with ordinary tweeters. So there is a difference in listening with them. Polk speakers are not bright. That is just how they have been from the very beginning. They were always designed to be pleasant to listen to, more so than they were designed to be "extra detailed". People who want that extra detailed sound, would be better off considering speakers from manufacturer's like Klipsch, Monitor Audio and KEF's. Not saying that there is anything wrong with any speaker's from these companies, all of which make fine speaker's, but Polk's are going to have a less detailed sound to them. It's really, all about personal listening preferences. Now that you have your 707's and are now listening to them, I want to tell you that they are a just a tad bit brighter sounding than my A7's. That is how smooth the A7's sound, when they are properly driven. And, that is with the addition of the JBL "baby cheeks" super tweeters and crossovers. Good HF definition detail does not have to be harsh. You can have detail and still have smooth realistic sound. Some interesting comments and observations with regard to the Polk's and the Aerial's. I think some would love the slight brightness of the Aerials, and some would much prefer the blended smoothness of the Polks. I would like to point out to all who are reading you thoughts here that the Michael Kelly designed Aerial 10T's were a $7,000 speaker back in 1996! They would be $10k to $12k speaker's in today's money. Today, this many years later, it is not uncommon to see them on eBay for around $3k, which is about twice the price that the 707's were being offered for sale new, through the Adorama offer. Speaker's by Ariel Acoustic's make Stereophile's "A" list. As a side note. Before Peachtree Audio sold amplifier's, they were in the speaker business under the name Era and their Design series of speakers were designed for them by Michael Kelly of Ariel Acoustic's. I have often commented on the quality and value of Peachtree's D4 and D5 speakers, which I have been using for years. I even have a pair of the now extinct D14 tower speaker's. That is a Michael Kelly designed ERA D14 speaker to the right of the Polk RTiA9's, and to the rear. Larry, the finish and construction of these things are second to none, my Aerials are not constructed better, and they are beyond great! In regard to that tweeter you show in your picture, if I turned around and someone said, ok buddy, the gig is up, hit the ground, I would do it immediately. Not sure if that would enhance my listening experience or blow me off a cliff, oh my!!! Have you ever checked that magnet structure with a Geiger counter, there could be enough energy there to possibly cause prostate problems?? Are you currently running the subs with the LSiM, or giving them a little time on their own? I only ask because when I demoed I was honestly surprised at the bass they could throw. A sub certainly helps fill things in and create depth, but it might be fun to see what they are bringing solo if you haven't already. Wow! A toss-up between the Aerial 10T's and the Polk's? That's outstanding! It's my understanding that those Aerial's are incredible and cost around 7-grand back in the day too. . The crossover's in the rear will run along with the Altec 511B horn and 908 series HF driver. This is due to a natural roll of of the HF horn above 6-kHz. The JBL super-tweeter's crossover kicks in at 6-kHz and has an actual frequency range of 4-kHz. through 19-kHz. at this -3dB point, wnd weighs 5-lbs, with 4.1-lbs. of that, being the magnet assembly. My point is, even with the "baby cheeks" on the A7's and their custom crossover's. the LSiM707's are still brighter than the A7's! This pair of A7's are fully extended yet very smooth and never bright, yet they are detailed. @Litejazz53 - I saw your listing for your previous speakers in the BTS, does that mean you're officially liking the 707s more? Pretty big statement! I'm going to answer in a PM, as I don't want to step on any toes, I have learned a great deal in the past day or so. For the 703s I'd imagine that would be fine. They don't have the power hungry large bass woofers. You would be perfectly fine if you bought the 703s right now at the super price and then added two SVS subs, one for each channel later, I use subs with any speaker I own and it's great, as long as you use the important rule of thumb, subs are to be "felt" not heard, they blend, they should never draw attention to themselves. SandAndGlass and displayname like this. Litejazz53 and riverrat like this. Certain lines of Polk loudspeakers have absolutely amazed me with the depth, richness, and accuracy of their sound. The LSiM and RTiA series prominent among them. And this is coming from a confirmed Tannoy fan. There will probably always be a few audiophile snobs who have to hate on them so they can feel superior, I guess. One of my all time favorite speakers are the ls50’s from the mid nineties. I still have a few pairs. I like them better than a lot of the supposedly better speaker I “upgraded” to. I have the Midnight Mahogany finish on mine. I looked and don't have a more close-up view, but you can still see the side of the right speaker a bit. It is not a woodgrain finish, but it also is not a piano gloss black, like the face is. It is almost a piano gloss type finish but it has a sight satin look to it and it is not completely black. After all, it is "Midnight Mahogany". For all intent purposes, it looks like a black speaker. It is really nice looking and my finish is flawless on the whole cabinet. There is really nothing that I don't like about the LSiM's. On my 707's if you shine a bright light on the Black Mahogany you can see the actual wood grain, but it's not that noticeable under normal lighting. Sometimes mine look more like a dark, purpleish brown too. Long story short, they look nice! I'm not a big fan of Cherry or lighter wood colored speakers anyway - they're a bit old-fashioned these days too. SandAndGlass, Audiowannabee and Fruff76 like this. Hymie the Robot and displayname like this. My 705s are cherry. I like that finish WAY more than purplish black, personally. As they say, different strokes! And at the end of the day, it's more about how they sound, eh? Litejazz53, rushed again, displayname and 1 other person like this.